Whoever said eating is cheating, clearly didn’t make it out past 11pm. Contrary to popular belief breakfast isn’t the most important meal of the day, it’s the one you have before getting on the piss! Save yourself from getting way too drunk way too early and line your stomach with a group dinner at the restaurant of your choice with your best mates! One of our most popular add on, anything revolving around food is typically pretty popular with the men, because why live off Maccas when you can enjoy a hearty meal together! Bucks parties are notorious for being a big night of sinking drinks and getting rowdy with the boys. However how much time do you really get to have a good old chat and catch up before your main man dogs the boys forever. Enjoy some bonding time over a great meal and naturally a beverage or two before you hit the town! We’ll cater to all kinds of budgets to ensure you get exactly what you’re after. Whether that is a BYO Japanese restaurant, a couple of fat steaks or something a little more a la carte! Chuck the buck in the middle and allow some time for him to endure some friendly roastings from the boys regarding his looming big day. You’ve got to eat, so why not make an occasion of it with a couple of your best friends around a big table. You pick the restaurant, you pick the budget and you pick the time! 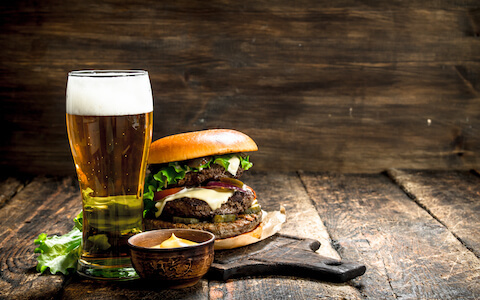 We cater everything exactly to your liking, this is a very convenient add on to your Stag do! Save yourself the embarrassment of being the drunkest goof in the room because you forgot to eat something in the rush to get ready. Because when was the last time you all got around a table and had a good yarn? What has Bevin been up to? How was Tom’s wild USA trip? Take this opportunity to have that catch up you’ve all been missing. It’s the optimal debrief. Plan the night ahead as you munch on some mouth watering food and prepare your liver for the beating its about to cop. The best part of this add on? Literally every damn location has a great restaurant, so no matter where you’re headed with Wickedbucks you can enjoy a tasty feed before the night’s debauchery begins. 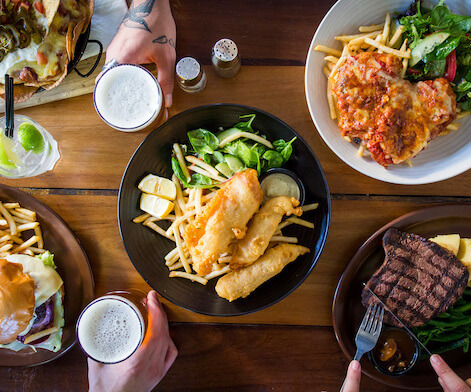 Set yourself up at the local sports bar so you can watch the game while knocking back some surf and turf in Fortitude Valley. Or listen to some smooth beats by the saxophone at the exclusive jazz bar down one of Melbourne’s laneways. Position yourselves on Bondi’s beaches and enjoy some oysters and whiskey on the rocks at Icebergs if that tickles your fancy. Whatever gets your stomach jumping and drool flowing, we’ll sort it for you! Just get in contact with your party planner to sign up for this add on! Bring the whole Buck’s party or have something a little more intimate with the original gang before everyone joins you. Give your Buck some final words of advice before he waits at the altar or take the opportunity to talk about anything else! If you absolutely dread the idea of having to figure out what restaurant everyone will like, leave it to us! We’ll find a sweet deal that will have everyone’s gut full and satisfied. So do something everyone will be thanking you for and book your party in for a group dinner, so you at least have something to remember after all that binge drinking and dancing. Take the pressure off your best man duties and make the most of this great addition.